The Nintendo 3DS upgrade, the 3DS XL ("3DS LL" in Japan) will be hitting stores in Japan later this month and in the US in August. Looking at what will hopefully be a bigger launch than the launch for the original 3DS (Granted, they had to deal with a weak launch lineup and a major earthquake then. ), Weekly Famitsu polled readers (552 valid responses) on their impressions and intent to purchase the 3DS's younger bigger brother. Question 1: Do you plan to purchase a 3DS XL? For intent to purchase, over 50% of responders expressed an interest, with 28.9% planning on purchasing the 3DS XL on release day and 29.4% responding that they plan on purchasing one eventually. Interestingly enough, of those who were in the "yes" camp, 71.7% already owned a 3DS, showing both the strength of the 3DS brand and also the wish of many users for an upgrade model. 24.3% had no plans to purchase one and 17.4% stated that they would decide after seeing an actual sample. Question 2: What color 3DS XL do you want? For the most part, choice of color was evenly divided. 38.9% were looking at the red and black, 32.8% a white, and 28.3% a silver and black model. Question 3: What do you think about the retail price? 54.6% of responders thought that the price tag of ¥18,900 (US$238.34) was just Baby Bear right. Considering that there is no major difference between the 3DS and 3DS XL other than size, and the fact that the AC adaptor is sold separately, 27.4% thought it the price was high, while among the 18% that responded that they thought it was cheap, some noted that the drop in the AC adaptor price was part of their reasoning. 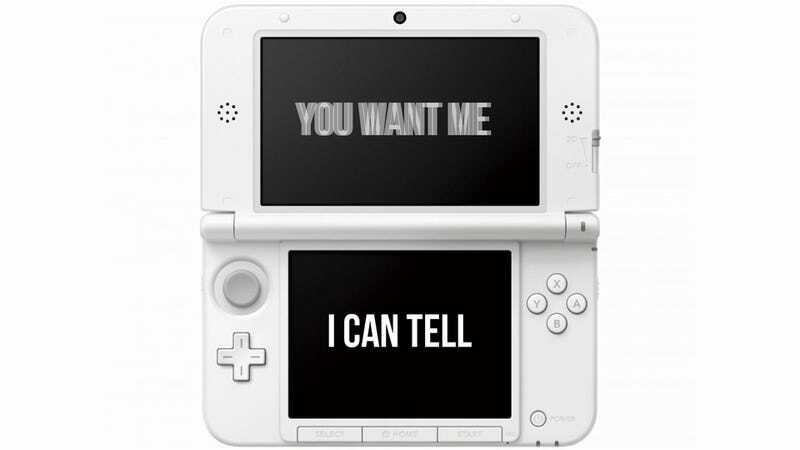 Question 4: What games are you looking to play on the 3DS XL? Ever the popular brand in Japan, Monster Hunter 3G was at the top of most lists with 146 votes. Mariokart 7 came in second with 60 votes. Third was Resident Evil: Liberation with 38 votes. The Legend of Zelda: Ocarina of Time and Dragon Quest Monsters: Terry's Wonderland 3D came in fourth and fifth with 34 votes and 33 votes. Overall, impressions of the 3DS XL were positive. One user expressed excitement of a larger screen 3DS while another remarked that this would be their introduction to the 3DS market. One user even expressed hope that the 3DS XL would become the standard model. On the opposite side, some retailers noted the necessity to inform customers that the AC adaptor was not included every time could lead to confusion and complications, while others wondered if the increase in weight may not be suitable for the hands of children and might decrease the portability of the portable console. The Nintendo 3DS XL will be sold in Japan starting July 28th for ¥18,900 (US$238.34), and in the US starting August 19th for US$199.